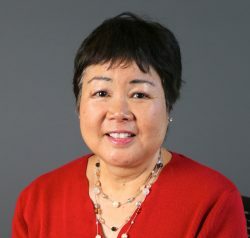 Elaine Sugasawara, MT(ASCP) SBB is the Technical Director for the Infectious Disease Testing Laboratory, Component Manufacturing, and Hospital Services areas at Stanford Blood Center. She has been working in the field of Blood Banking since 1975. She earned a BA degree in Biochemistry from University of California, Berkeley and her SBB from Parkland Hospital in Dallas, Texas in 1979. She worked at American Red Cross Northern California as Supervisor of the Reference Lab, SBB Program Coordinator, Processing Lab Supervisor and QA Director. At Stanford Blood Center she has previously worked as QA Director.